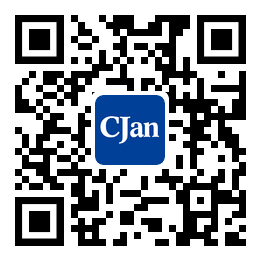 ﻿ The Standard of PFA Lining Series - CJan Fluid Technology Co., Ltd.
GB/T 23711.1-2009 The Fluorine Plastic Lined Pressure Vessel Test Methods of Electric Spark. It provides test method for spark test of lining layer of lining pressure vessel fluorine plastic (14 ethylene vinyl fluoride copolymers ETFE, perfluoroethylene FEP, tetrafluoroethylene perfluoroalkyl vinyl ether copolymer PFA, PTFE, PVDF) . It is suitable for the lining layer of electric spark test of fluorine plastic lined pressure vessel. GB/T 23711.2-2009 Test Method For Low Temperature Resistance of Fluorine plastic Lined Pressure Vessels. It provides test equipment, specimens, procedures and test reports of FEP (ETFE, PFA, PTFE, PVDF) linings, pressure vessels, cryogenic. It is applicable to low temperature test of fluorine plastic lining of pressure vessel inner lining. GB/T 23711.3-2009 Test Method For High Temperature Resistance of Fluoroplastic Lined Pressure Vessels. It provides requirements for devices, samples, procedures and test reports of high temperature test of PFA (ETFE, FEP, PTFE, PVDF) lining pressure vessel. It is applicable to high temperature test of fluorine plastic lining of pressure vessel inner lining.